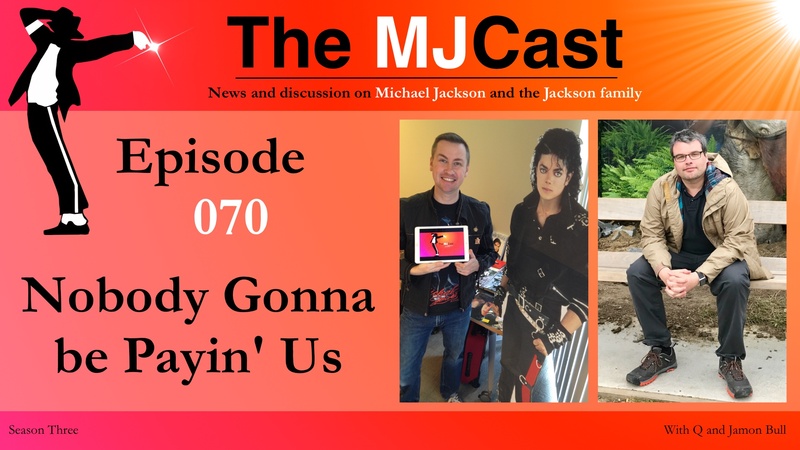 This entry was posted in The MJCast, Uncategorised and tagged A Night at the Apollo, Andy Healy, Austin Brown, Bad, Bad 30, Bad 30 101, Bigi Jackson, Black or White, Blanket Jackson, Blood on the Dance Floor, book, Canyon Sessions, Dangerous World Tour, Heal The World, Hip-hop, Janet Jackson, Jay-Z, Jermaine Jackson, John Singleton, Katherine Jackson, LaVelle Smith Jr., legacy, Making Michael, Melbourne Cup, Michael Jackson, michael jackson's halloween, Michael Whelan, Mike Smallcombe, MJ101, Moonwalk, Moonwalker, Moranbah, No Sleeep, Oslo, Out100 Gala, Paris Jackson, podcast, Prince, Remixed by Nick*, Sammy Davis Jr., Smooth Criminal, Smooth Criminal (BlkPanther SOLO Orchestral Mix), Socks, Sony, State of the World Tour, Summer Jam, The Notorious BIG, Thriller, Tito Jackson, Unbelievable, Unbreakable, victory, Workin' Day and Night, X Dangerous (The White Panda Mash-Up), You Are Not Alone by Jamon Bull (Admin). Bookmark the permalink. Hi everybody and marry Christmas,I don’t have twitter I don’t want too,all I want to say there’s an interview this morning with Corey Feldman on a studio ten program on channel ten and it’s an exclusive that’s what they saying,I thought I tell you.